Product code: ES8162 Categories: Modern & Retro Jewellery, Modern Cufflinks. Cufflinks finish a suit perfectly, and here are such an elegant pair of 14 carat gold onyx and diamond cufflinks that will always stand out thanks to their elegance and style. 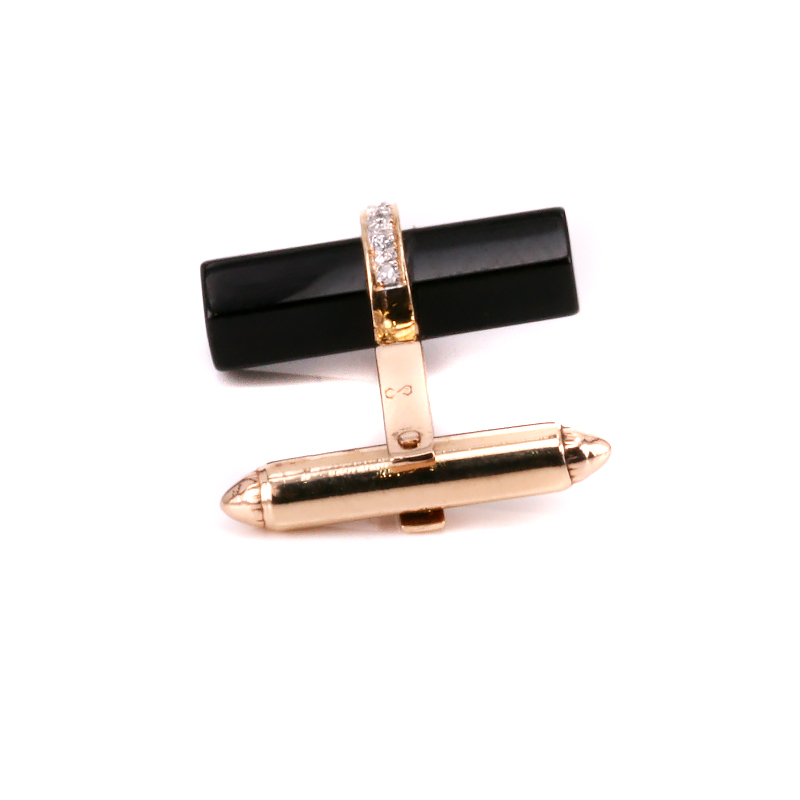 Made in 14 carat yellow gold, each cufflink is set with twelve round brilliant cut diamonds that are set onto a lovely facetted piece of black onyx. The contrast of gold, diamonds and black onyx works so well and will stand out day or night. Fitted with fittings that are so easy to take on and off, these cufflinks are just perfect. Tag: Onyx and diamond cufflinks.